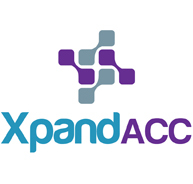 XpandACC™: Real-time Solution for Shared Benefits Accumulators (Medical, Pharmacy, Mental, Vision, and Dental). XpandACC is robust technology for health insurance carriers looking to improve operational efficiency and the consumer experience. This solution provides carriers with methods to efficiently administer plan designs that include shared benefits. This solution is particularly helpful in addressing the new, federal, single maximum out-of pocket (MOOP) requirements. XpandACC supports a variety of plan designs with shared medical accumulators integrating ancillary benefits (pharmacy, mental health, dental and/or vision) with medical benefits. Similar to XpandPBM, XpandACC serves as a single accumulator source that accurately provides real-time accumulator status for a member at the point of service or as needed by an external system. The main difference is that XpandACC allows for additional ancillary benefits such as dental and vision. Real-time synchronization between the core medical benefit platform and an ancillary benefit platform [in particular a pharmacy benefit manager (PBM)] reduces — if not eliminates — the administrative time and effort usually required to handle accumulators that are not accurately synchronized at the time of claims processing. Featuring enhanced service and operational support, XpandACC reduces costs for handling claims and consumer service calls by eliminating many of the overpayment and underpayment problems that can result from a lack of synchronization. Considering that a medical benefits administrator often addresses these issues by manually reversing or adjusting medical claims in response to a consumer’s complaints, the use of XpandACC will have a direct, positive impact on a carrier’s operational costs, eliminating time-consuming, manual adjustments while also improving the consumer’s experience. In addition, this advanced technology solution provides both your consumers and customer service staff with a single, consistent view of timely information. Furthermore, because of its close integration with your core claims system, XpandACC minimizes the time and effort needed to design and configure new products, subject to the limitations of the PBM. Integration also allows for synchronized adjudication and adjustment of claims. This means no need to request that IT spend hours setting up new parameters or conducting extensive testing. Products can be defined using existing or new templates — or by allowing the plan’s core processing system to dynamically define products. At the same time, its Service-Oriented Architecture (SOA) design eliminates technology integration barriers.